Enter a name for the connection here. The task of the data transfer can be described here. Select the type of data source the data comes from. 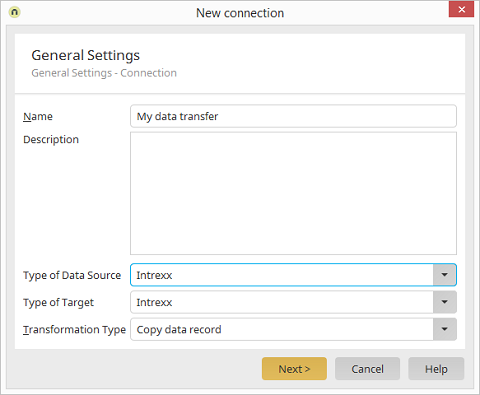 Select the type of target the data should be transferred to. The type of data transfer is defined here. You can either choose to copy data records or perform the transformation via Groovy script.